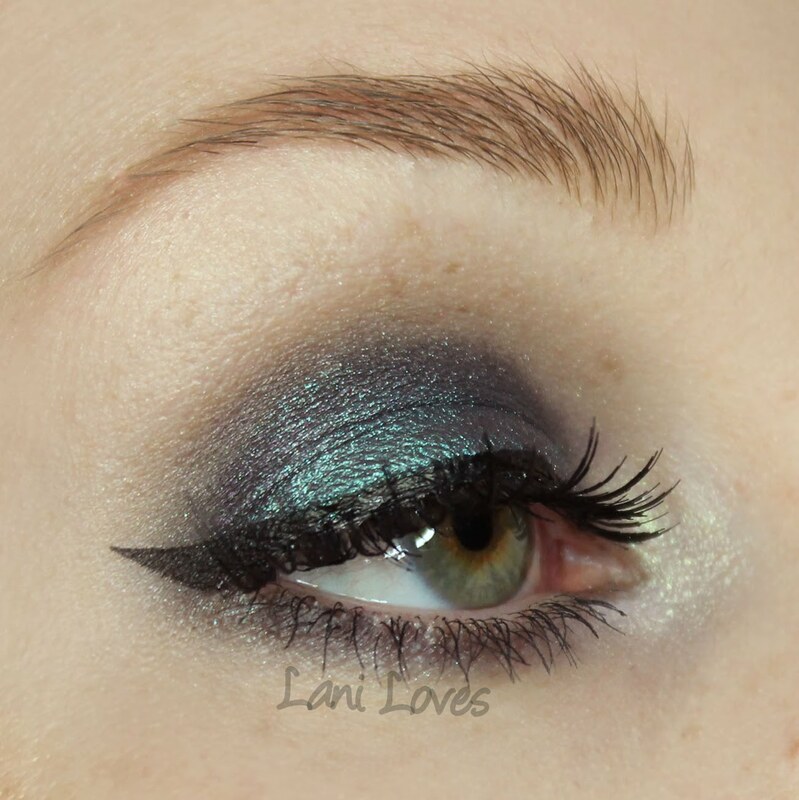 These are not "pigments", but loose eye shadow which aren't pressed to be solid; they are not free-flowing powders. 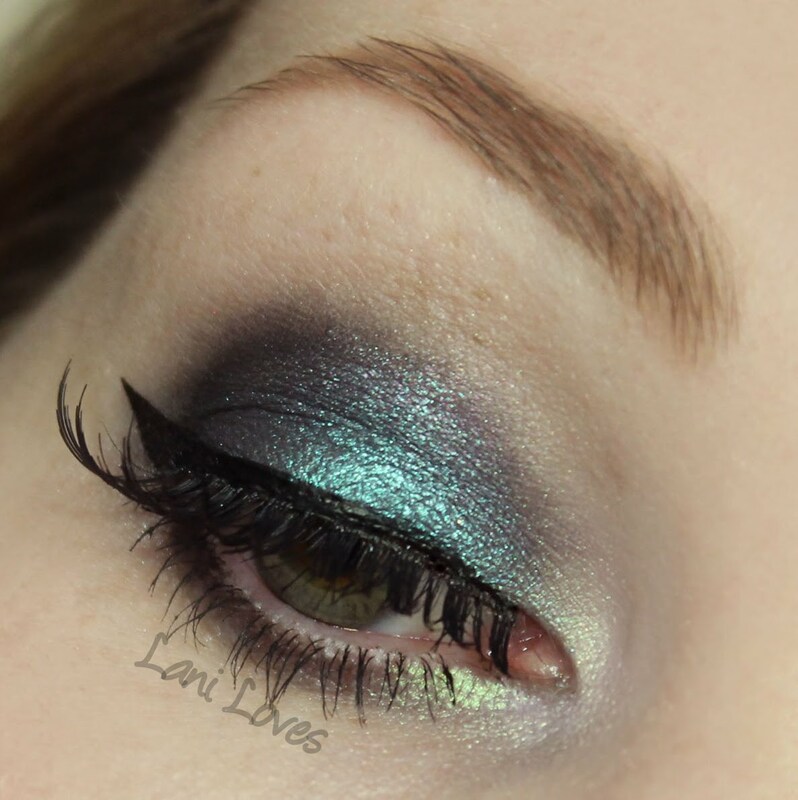 Fyrinnae's Arcane Magic Eyeshadows are specialized colours with a highlight which changes hue depending on how the light hits it (closer to or further from a light). This is not the same thing as "duochrome" shadows which feature only a singular highlight layered on a base hue (our version of which are here) Different light sources may show different shades, too (they do not show as well in sunlight as artifical light, and some may not appear to change at all). Please note that the Arcanes will probably look a little different in photos than in person because of the light-change effect. My jar of Sorceress is full size, which is approximately 3 grams of product in a silver capped screw-top jar. 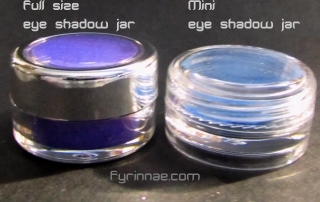 I usually buy and review the minis, but Fyrinnae helpfully have a jar size comparison photo of the two here. Sorceress is described as a 'soft black shadow with shimmer which changes from a brilliant aqua to vibrant cool pink, depending on light and angle.' No arguments there! 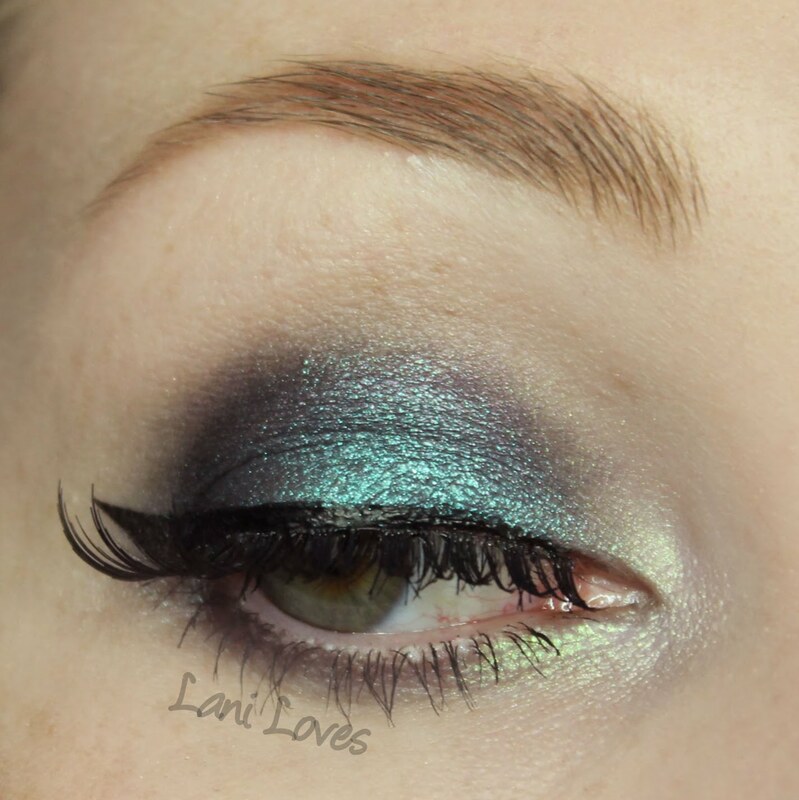 I wore it all over the lid over Fyrinnae Pixie Epoxy and alone on the lower lashline in the look below so you can see it both ways in action. The black base gives it so much depth and I love how the hints of pink shimmer can be seen around my socket line. It was so much more mesmerizing in person. 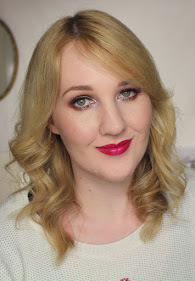 Worn alone, the shimmer is much more subdued (which I preferred for my lower lashline, particularly with this strong look) but the colour was still even and pigmented. Finding Fyrinnae's store when it's open can be an exercise in frustration but I promise it is absolutely worth it if you persevere! What do you think of Sorceress? 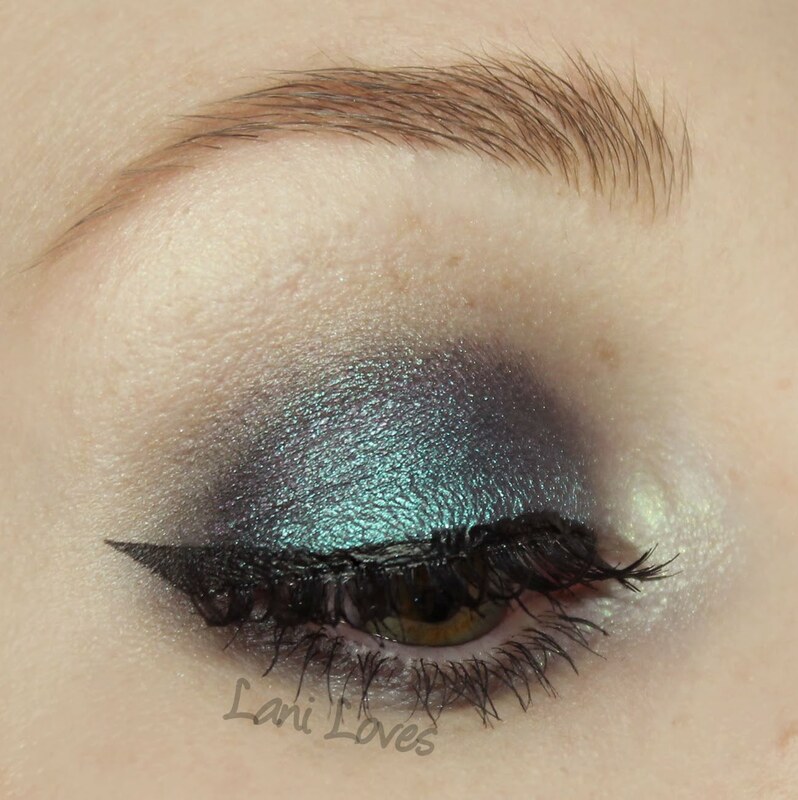 Wow that is one amazing eyeshadow! I have got to get that in my life. 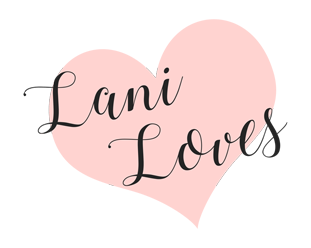 Just wondering what are the two colour swatches you have done Lani? 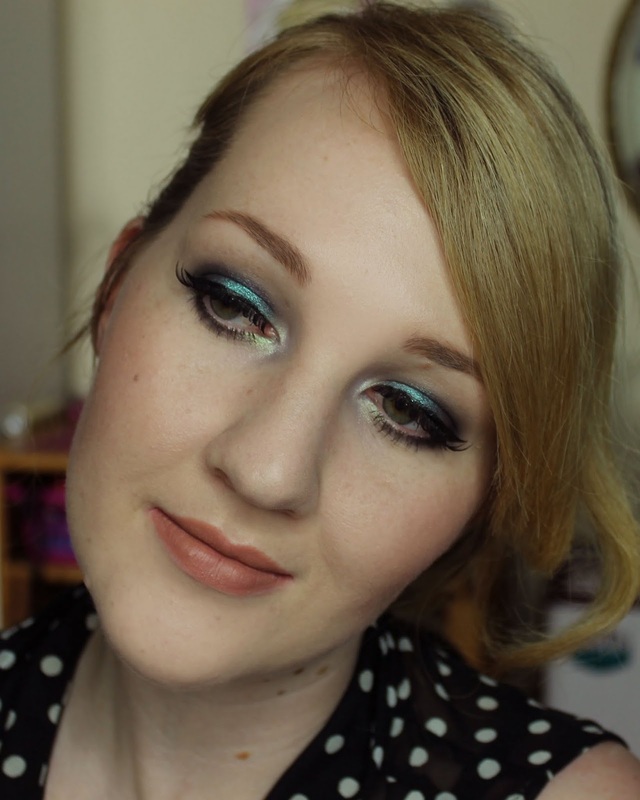 Or are they both Sorceress, just light swatch and one with more product? Whoops, good spotting Sarah-Elizabeth! 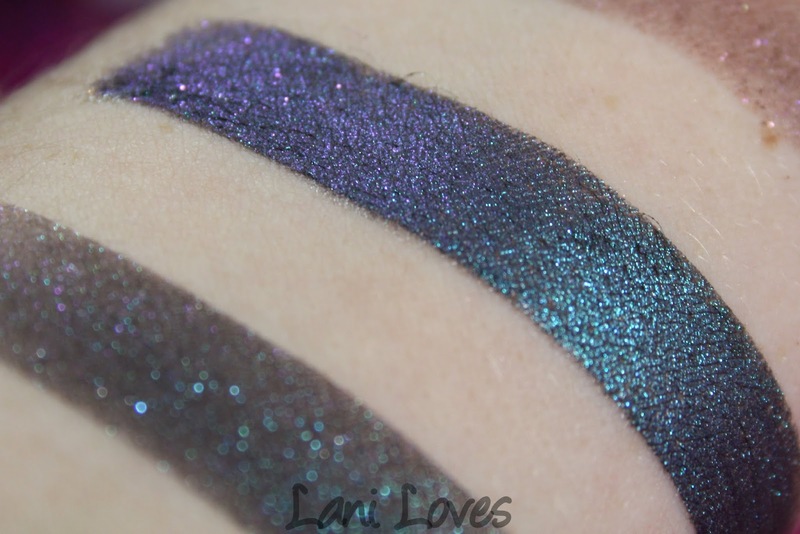 I've updated the post now :) The swatch on the left/bottom is Sorceress applied to bare skin and the right/top swatch is patted over Fyrinnae Pixie Epoxy.